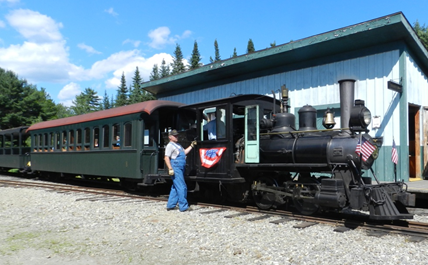 Just founded, The Piedmont Railroad Museum & Library, Inc. is looking for a suitable site to locate our museum building to provide space for exhibits and prototype rolling stock. The Museum has also begun the architectural design of a suitable building to contain our exhibits, prototype displays, the library and model railroad layouts, plus a meeting room and gift shop. Check back for additional information as we search for a site and refine the design of our building. 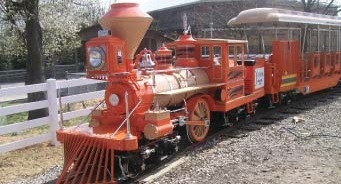 The Museum site will be named the "Piedmont Model Railroad Park". 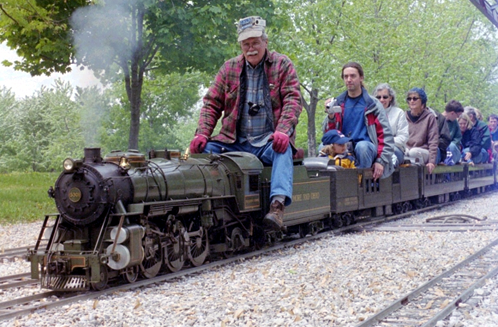 The Piedmont Model Railroad Park will provide a safe and friendly family entertainment park providing an opportunity for all ages to enjoy watching, operating or riding trains. There will be operating N, HO and O scale interactive train layouts in a building. 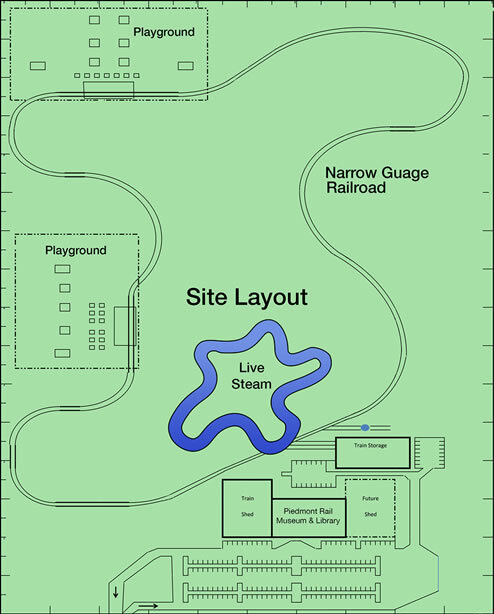 Outdoors will be a garden layout, a Live Steam operating/riding system and a motorcar riding track. The Museum organizers are actively looking for a suitable site of 10 to 100+ acres in Wake County to house the Piedmont Model Railroad Park. A number of sites have been identified and are currently being pursued with their owners. If you know of a site that could be a candidate for our Museum & Library or would like to suggest a potential site in the County, please contact PRM&L's President Gene Sing. Click here to email Gene Sing. The site will be primarily left natural, and be developed only to the extent necessary to accommodate the buildings, parking areas and access roads, the narrow gauge train track, walking trails, and the play and picnic areas. We will strive to maintain 70% of the land in it's natural state for all our visitors to enjoy. 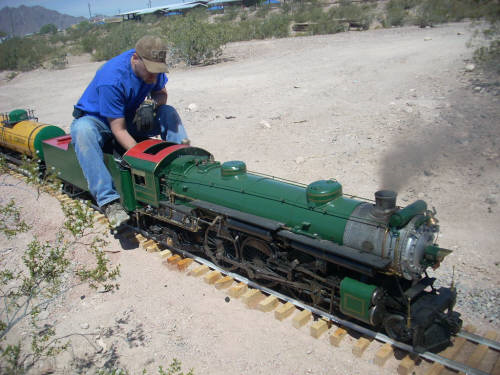 Future consideration will be given to construct and operate 7-1/2" scale riding trains, commonly known as "Live-Steam" as well as a fully operational 2 foot narrow gauge train. The Museum organizers have been working with an architect to develop initial plans for a suitable building to house the Museum and Library's exhibits, prototype displays, model railroad layouts, meeting hall, offices and gift shop. Train Shed: Narrow Gauge prototype locomotive and passenger car storage/maintenance; 2 floors, main floor for smaller railroad exhibits, 2nd floor will house the museum display workshop and artifact storage. Train Stations within the recreational areas to support administrative supervision and maintenance over the activity area. Main Building: 87,500 SF model train layouts (HO and N scales), visiting layouts, interactive exhibits, library, meeting space with kitchenette, gift store, admin office space and restrooms. Future expansion: building with be situated on site such that space exists to construct a second train shed to the right of the main museum building, for additional train exhibits or for inclusion of other transportation modes (such as automobiles and/or motorcycles). Construction of the museum building will be designed with a goal to be LEED certified "Gold." Ideally both buildings will be constructed at the same time to reduce construction cost.